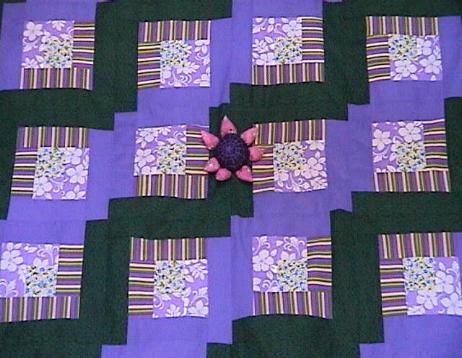 This is a beautiful NEW Lavendar Floral Pink Sunflower Log Cabin Quilt Top that I made. The colors are so lively and vibrant. The green border print has little red berries. This top is so pretty. 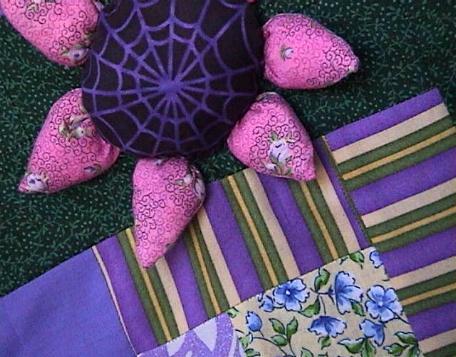 The lavendar fabric is a sparkly/glittery fabric by Cranston VIP. The stripe fabric is MUMM. 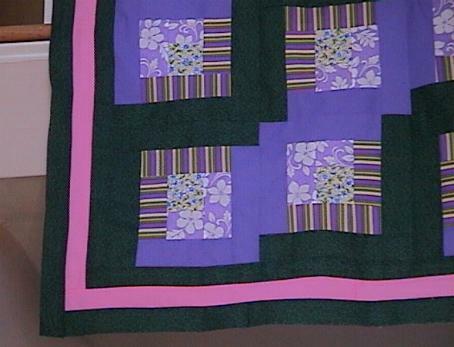 The others, except for the pink solid on the border, are Springs Industries and Cranston. All great quality fabrics. This lovely top has 3 borders. 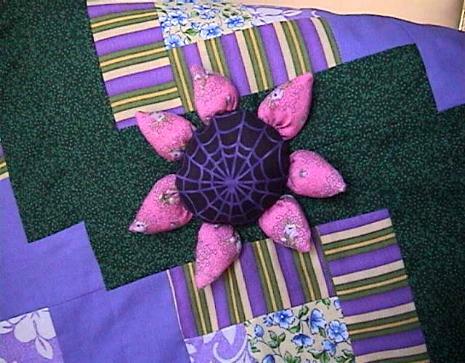 I cut and stuffed the sunflower parts; and then securely attached the parts to the quilt top. The center of the sunflower was fussy cut. 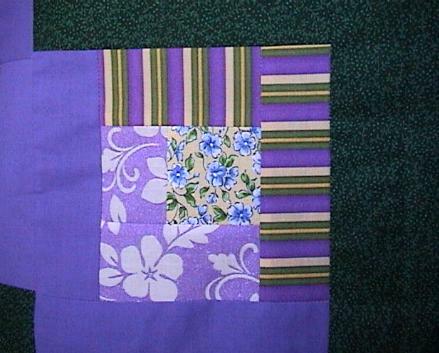 The log cabin blocks have the gorgeous floral floral print with the yellow background. Much prettier than in the photo.